Who doesn't want glowing, youthful skin right? With summer here we all want to look like we've just come back from that sunkissed holiday where Vitamin D was our best friend. Being in my late twenties (OMG I can't believe I just said that), I definitely take skincare a lot more seriously than I did in my late teens/early twenties. Long gone are the days when I'd come in from a night out and use a face wipe to remove my make up.... or worse fall asleep with my face still in tact. 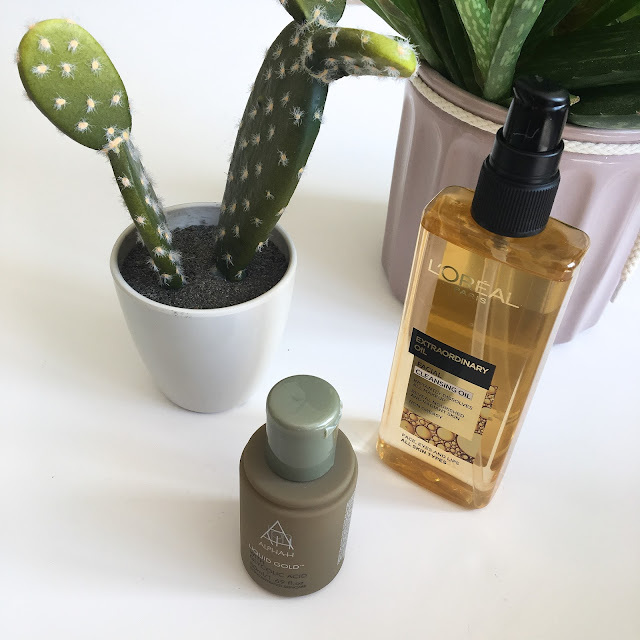 Working out and living a pretty healthy, balanced lifestyle helps me to achieve that "glowy" look, but there are also some products that help when the tiredness and stress kicks in and so I thought I'd share my favourite products with you. When it comes to removing my make up after a long day I swear by L'Oreal Extraordinary Cleansing Oil. A few pumps of this product will instantly dissolve your make-up, including stubborn mascara to leave your skin feeling smooth and radiant. Every other night I like to apply Alpha H Liquid Gold. This product is a little more expensive at £33.50 but it's amazing! With a formula of silk protein and licorice, it helps revitalise your skin whilst improving the appearance of your complexion. However, I would definitely not suggest using it everyday as it's quite an intense product. Another cleanser which I also love is Super Facialist Rose Hydrate Calming Creamy Cleanser. Not only does this smell lovely, it gently removes impurities and make up without leaving your skin feeling too tight. The Marshmallow and Allantoin help to soothe and restore the skin's natural ph balance which makes this product great for sensitive skin. If you're looking for that luminous glow, then this product is a must have! The Rodial X-Treme Acid Rush Peel works a little like a face mask. Once applied, leave the product on for 10-15 mins whilst the active azelaic acid, glycolic lactic and fruit acids take effect by gently exfoliating and re-texturing to reveal brighter, more youthful skin. 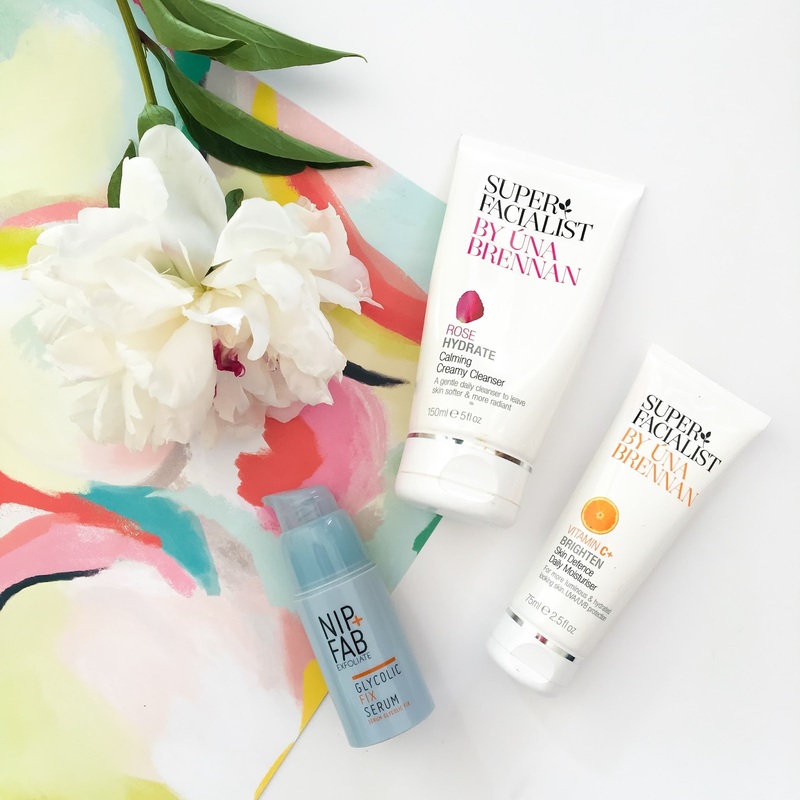 My go to moisturiser each morning and night has to be another Super Facialist product, this time in the shape of the Vitamin C+ Brighten Skin Defence Daily Moisturiser. 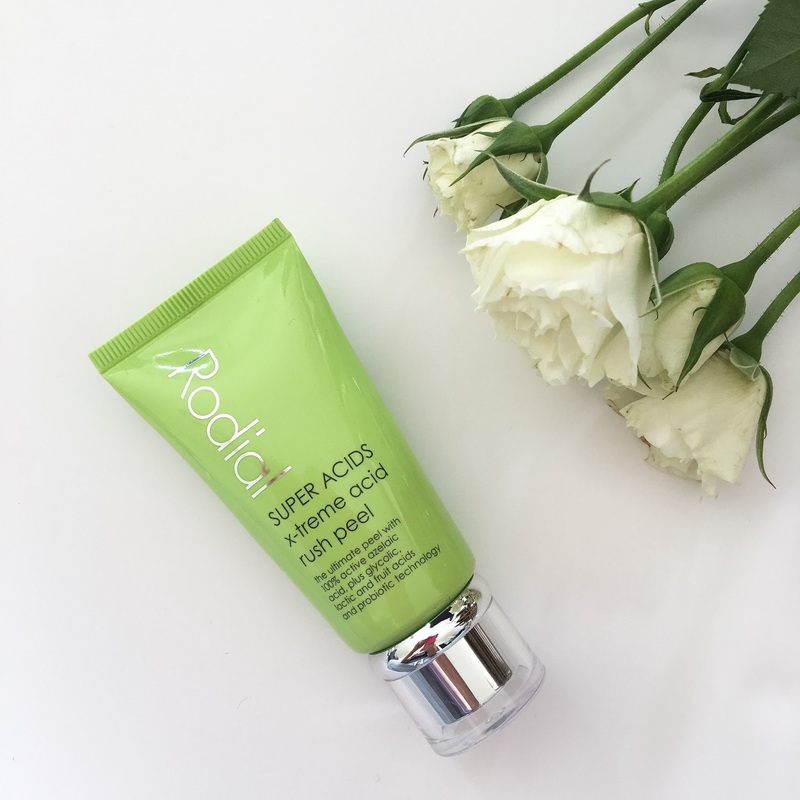 Not only does this moisturiser have UV filters to help protect your skin from the sun, the combination of Hyaluronic Acid, Ferulic Acid and Vitamin C leaves your skin hydrated, smooth and glowing. The last product on my list which I absolutely LOVE and not only because it smells amazing, is Nuxe Huile Prodigieuse. I couldn't live without this multi-purpose oil which leaves your skin feeling unbelievably soft and glowy and it's my number one go-to product for my legs. They're Shimmering Dry Oil is a fantastic touch to give your skin that luminous holiday glow. There you have it, these are my go-to products to give you that youthful, summer glow.